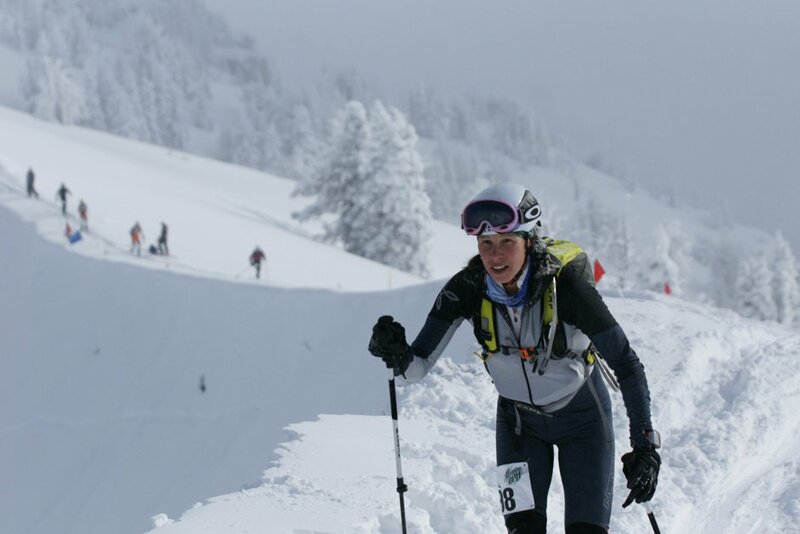 Knowing many us would be on hand for the national championships, USSMA scheduled the second worlds qualifier on Sunday at Targhee. Despite a few large margaritas and my wussy triceps being sore from Saturday, I felt surprisingly fresh. Since most of us had raced the day before, the pace started a bit slower. I was determined to not make the same mistakes as Saturday which meant really taking care of my skins and pushing through the burning legs on the descents. Racing smart kept me going uphill well but I managed a few major tumbles on the second and third descents. I’m not sure if it was snow build up from all of the fresh powder or me tweeking my binding, but I kept pre-releasing out of the heel of my left binding. I got some great face shots but not really the kind I was hoping for. Despite my crashes, I managed to pick myself up very quickly each time and secretly enjoyed the brief break from descending. Having a solid race and pushing through some pain, I was able to pull off a win in front of another super strong showing of women. Janelle was banging at my ski tails the whole race and Monique Merrill finished in 3rd place again. Jari Kirkland and Lyndsay Meyer had great races and secured two more of the spots on the worlds team! Head down seems to get me up the hill and through the suffering. Photo by Crested Butte Photography. Please visit TetonAT for complete results. 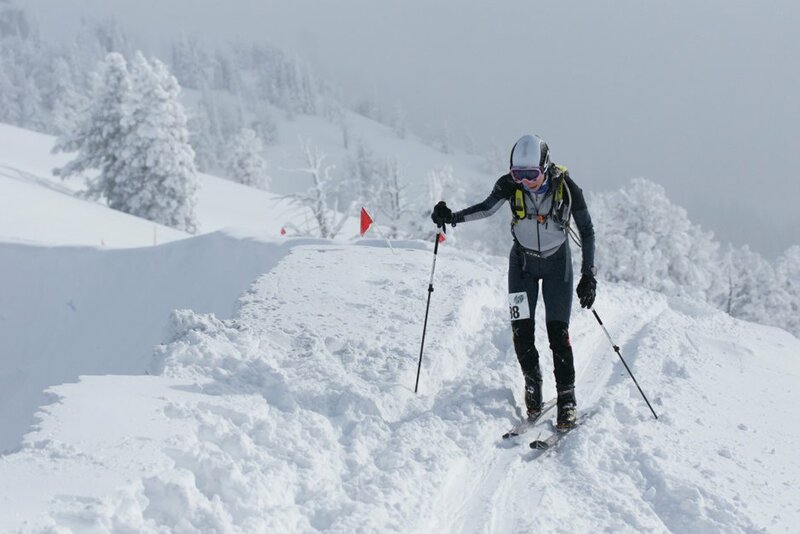 The third qualifier is just next weekend at the Heathen Challenge at Sunlight just down the road in Glenwood Springs. There are a few more spots up for grabs for the men and women.